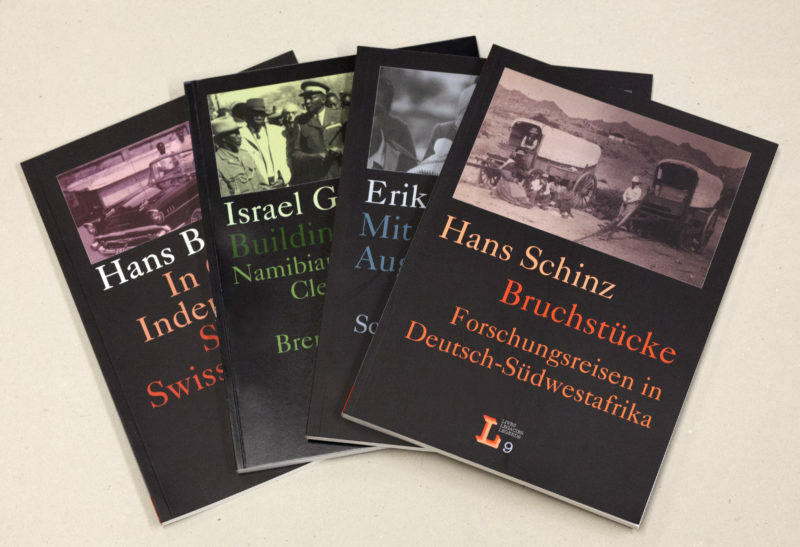 Originally launched by P. Schlettwein Publishing in 1997, the Basel Namibia Studies Series has been released by the BAB Publishing House since 2011. The series addresses current (cultural-)historical, political and anthropological issues related to Namibia. 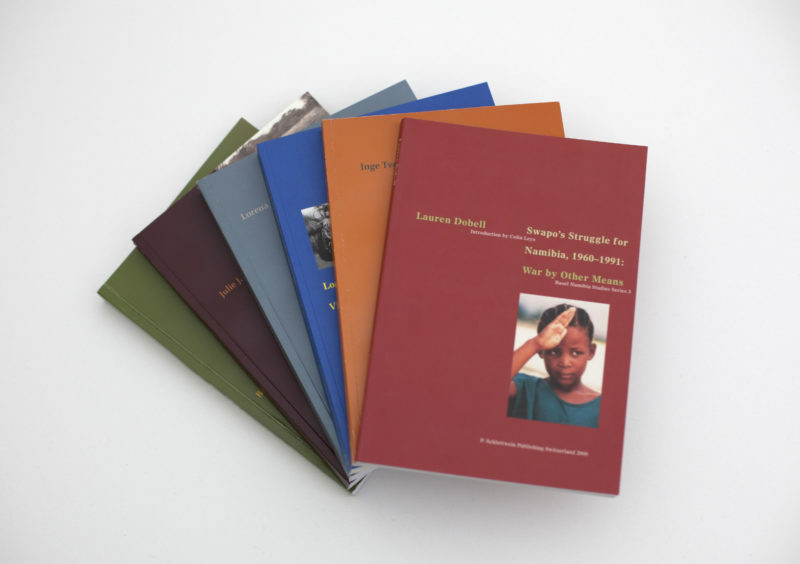 The series Basel Southern Africa Studies is dedicated to a wide variety of topics in the humanities, encompassing the entire region of southern Africa. The book series Lives, Legacies, Legends presents personal narratives and written histories related to life in southern Africa. 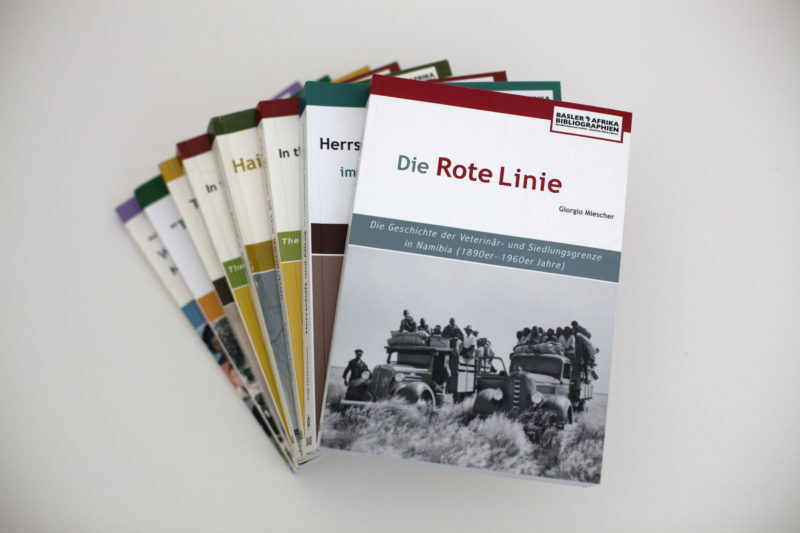 The majority of titles involve biographies from southern Africa, but others focus on the topic of “Swiss in Africa”. Dr. h.c. Carl Schlettwein (1925−2005), founder of the Basler Afrika Bibliograhpien, played an important role in the development of African Studies in Basel. The annual Carl Schlettwein Lecture, held by internationally recognised researchers at the Centre for African Studies Basel’s invitation, is a contribution in memory and honour of the generous and far-sighted patron. Since 2016, the BAB Publishing House publishes each presentation.